Building a culture of patient experience excellence can be especially challenging in healthcare. According to the 2017 HealthLeaders Media Patient Experience Survey, for example, difficulty changing organizational culture (31%) is the biggest stumbling block to creating an effective patient experience program. Part of the reason that transforming organizational culture is so difficult is their size and complexity: providers are typically large institutions with a diverse range of professional and nonprofessional staff, representing a long list of departments and functions. 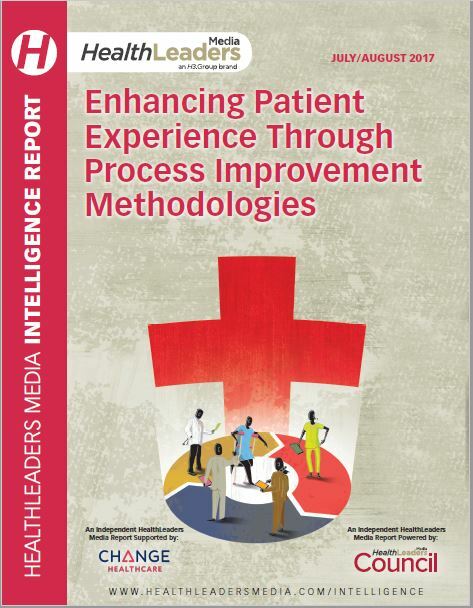 Download our FREE intelligence report to discover how healthcare executives are implementing process improvement methodologies. Copyright © 2018 HealthLeaders Media, an H3.Group Brand. All rights reserved.